Connect your guests with multi-award winning Wifi. Inform – Inform your guests through digital signage and room TV’s. Entertain - Offer the best entertainment with your infotainment solution. Advertise - Market supplementary offers on all devices. Our multi-award winning wireless service “WiFi made in Germany” gives you all the flexibility you need to design your network and pricing models. Provide your guests with a secure, stable Wifi network, which can be used with an unlimited number of devices. Whether you want to inform your guests about the next conference or cross selling in the main lobby. – With your conn4hospitality dashboard you keep a consistent communication with you guests throughout all channels and hotels. Use conn4hospitality as flexible platform to play videos – on the room tv, notebook, tablet or smartphone. Apart from the inclusion of video on demand, your customers can also show content of their own devices on the hotel’s tv via apple tv or miracast. With your conn4hospitality dashboard for instance you can start worldwide marketing campaigns with only one click. Change pictures, colors and texts with a few clicks – without any programming skills. Integrate your social media channels, external content, video content, 3rd party apps and loyalty programs. Experiment with surveys or location based services. Design this key touchpoint exactly the way you want it. In order to meet your specific needs, you can use your branding, integrate your own content or external content, loyalty programs or third party apps. Manage your information, communication, entertainment and marketing solutions conveniently through one central dashboard. conn4hospitality helps you offer your guests the perfect digital convenience which further evokes increasing reservations, recommendations and positive reviews on social media platforms, you’ll benefit from lastingly. Use an intelligent roles and permissions system to set up your dashboard. Give specific employees control of particular configurations, functions and content on certain displays in selected hotels. Guest preferences, industry requirements and technological capabilities are continuously evolving — just like conn4hospitality. For example, you can take advantage of iBeacon and mobile apps. Upgrade to a high performance carrier grade network, to enable excellent services. Let’s invest together into your business, to make the upgrade happen. If you already have the infrastructure needed, you may be able to continue using it. Contact us for free advice and a customized proposal. Marketing campaigns are broadcasted across all sites on digital signage displays, room TV’s and customer devices. Thanks to the inclusion of in-house loyalty programs our partner can extend his database with additional customers and address them personally. Via integrated MICE support guests are informed best. Conference room signage and direction information can be individualized with a few klicks. Conn4hospitality is a cloud based solution particularly intended for hospitality. All guest facing Wifi based technologies are consolidated in one solution. Among these there are for example the WiFi portal, digital signage as well as location based services and iBeacons. Our solution is qualified for all hotel chains willing to provide their guests a digital experience across branch networks and place advertising on guest hotspots, apps and DS devices. The solution itself is not only scaleable– from single sites up to entire hospitality chains with thousands of hotels – but also globally available. The system is self-explanatory and it’s use is entirely intuitive, which enables you to create, plan and publish your own campaigns in a matter of minutes through the cloud based CMS– either centrally for your entire business or locally for a specific location. 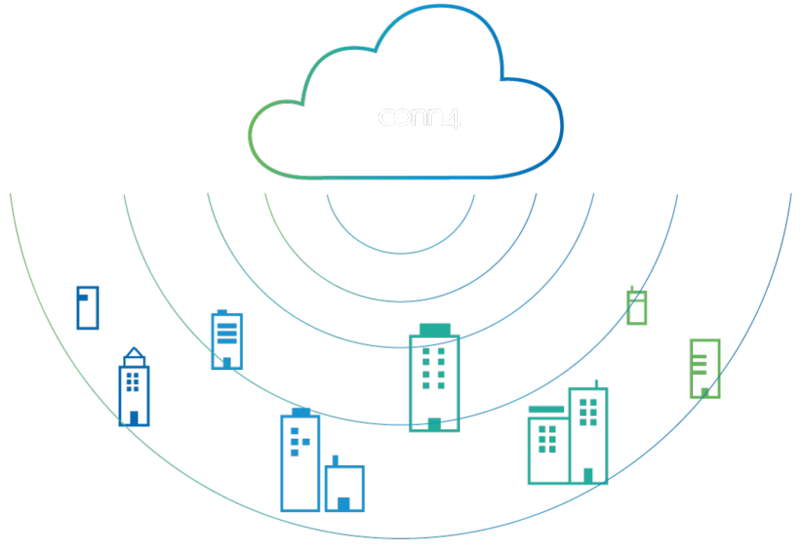 Conn4hospitality is a platform which unites all WiFi based services and enables marketing across all channels. You will not only get the best awarded WiFi but at the same time you can rely on an experienced partner when it comes to design and extending your network. Do I need expensive servers on my sites to run conn4hospitality? No, since conn4hospitality is fully cloud based. How secure is the WiFi connection? Constant penetration tests ensure the network’s resilience and provides excellent quality. Is there a separation between hotel network and guest network? Yes, we separate hotel and guest network to be able to provide you with a maximum of security. What requirements does my internet connection need to fulfill? This depends on the size of your location and your site’s availabilty. m3connect offers you a substantial range of services (nationally and internationally) and implements networks on the basis of x-DSL. MPLS or fiber connection. If requested your already existing broadband capacities can be considered. Can I have more than one SSID for each location? Yes you can use SSID’s for your guest Wi-Fi, conferences and any additional networks. Can I use my existing infrastructure for conn4hospitality? If you already have the infrastructure needed, you can continue using it. We would be pleased to check your current network status and take it into account while planning. Can I link conn4hospitality to my PMS system? We enable you to connect your WiFi access to most of the existing PMS modules. Is it possible to integrate the conn4hospitality virtual PBX (VoIP) into my PMS? Yes, while the guest gets recognized by his or her room phone, calls can be invoiced through your PMS. Even the guest’s name will be displayed on the room phone’s display. Can I use my current room TV’s with conn4hospitality? It’s possible to use them, as long as they have the H-Browser platform installed (firmware upgrade may be required). Does conn4hospitality come with a CMS? Conn4hospitality has an easy to use CMS integrated. What features are provided by the conn4hospitality dashboard? Using our comprehensibly organised dashboard, you can filter exactly the information you need.We use widgets for specific key data essential to your industry. Using drag & drop, you can move these widgets to the dashboard so you only see what you want. Can I customize my conn4hospitality landing page? Can I export reports from conn4hospitality? You can access data analysis at any time by using the reporting system. You can export reports as PDF, XLS, CSV, RTF and even HTML. Furthermore, you can gain insight into the users behavior and other statistical data. A link to your web analytics system is also possible. Can I limit features and dashboard reporting elements for my employees? Yes, absolutely. With conn4hospitality’s rights management you can easily limit what your employees are allowed to use and see on the dashboard. Will conn4hospitality allow for MICE integration on its dashboard? Yes, conn4hospitality will give you MICE management and reporting over the dashboard. I want to offer a free Wi-Fi option alongside paid tariff models, is it possible to limit the free access? Yes you can limit the free access in time-, volume, - or bandwidth. What payment options are available for my guests with conn4hospitality? Credit card, PayPal, physical voucher, or conference voucher. What reporting options do I get with conn4hospitality? With conn4hospitality you’ll get a wide range of reporting used for invoicing, monitoring and statistics.. You’ll get a clear view on sessions, volumes and revenues in each customer specific environment. The statistic values for each location show the number and volume of sessions grouped in tariff, cost center or employee. Even monitoring of web access and network volumes as well as landing page traffic can be reported through web analytics. Can the conn4hospitality virtual PBX (VoIP) be used to schedule automated wake up calls? Yes, your reception staff can easily set up wakeup calls through the conn4hospitality dashboard. The guest can also use their room phone keys to setup the wakeup call on their own. Can the conn4hospitality virtual PBX (VoIP) handle international calls? Numbering plans for the US and EU are already implemented and have been tested with 5 SIP providers. What features are offered with the conn4hospitality virtual PBX (VoIP)? Queue for reception, call forwarding, day and night settings for phones at the reception and each guest, answering machine service, wakeup call and DND (do not disturb) mode. What tariff options does the conn4hospitality virtual PBX (VoIP) offer? Tariffs can be fine-tuned onto local calls, foreign calls, calls to mobile phones (national and international), call invoicing of each guest can be matched to the true costs for each site and as a result calling cost can be reduced. Can I use conn4hospitality for digital signage? Yes, digital signage is fully integrated in conn4hospitality and can be used for the typical scenarios like welcome messages, information, cross selling with displays in the range front desk, lobby, catering and wellness. Conference signage can be centrally managed whereas rooms can be provided with digital occupancy planner / calendar. Depending on screen locations directional signage can be used, as well.. Interactive screen operation (touch screen capabilities) are also integrated. What digital signage features are included in conn4hospitality? Are the VoD movies for my guests only accessible on the room TV? With conn4hospitality your guest is not limited to only view movies on their room TV, but on any of their own devices (BYOD). Any screen size, operating systems and browsers are supported.